Though I admit to not being a big Halloween person, our friends at NPR’s A Blog Supreme, inspired me with a great post yesterday on Halloween Jazz. I thought of four more tracks that I’ve always had a fondness for that fit well with the season. Some have an obvious connection and some are a bit of a stretch, but I hope that you’ll dig ’em all. It’s the Great Pumpkin Charlie Brown is number two in my book of Charlie Brown specials, behind A Charlie Brown Christmas. However Vince Guaraldi’s score for …Pumpkin is as good as his immortal work on the Christmas special, though it doesn’t get as much ink. “The Great Pumpkin Waltz” is as warm and inviting as hot cider on a chilly fall evening. Lambert, Hendricks and Ross were making an obvious grab for a seasonal single with “Halloween Spooks”. It’s not the best of their work, but it still swings and includes some of their trademark wit. The clip created by TurnipGirl13, includes some great shots of seasonal pumpkin carving. 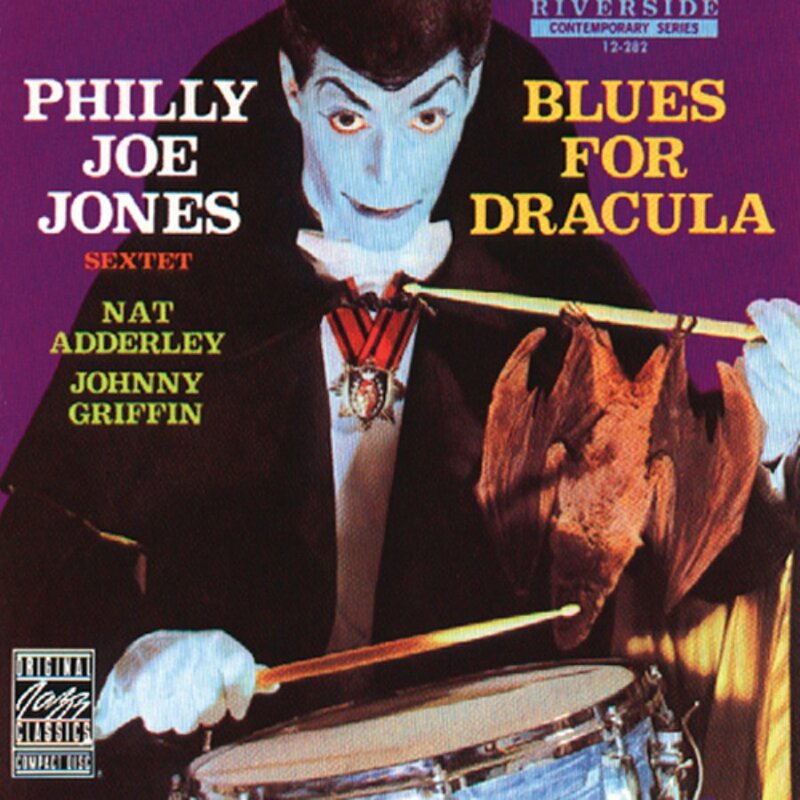 I was quite surprised to find that there was no clip already on YouTube for Philly Joe Jones’ “Blues for Dracula”, so I made my own. Philly Joe does a great Bela Lugosi impersonation standing in for his friend Lenny Bruce, whose standup routine inspired the monologue. Bruce was also supposed to do the monologue on the song, but schedules didn’t work out. Nice solo work by Julian Priester on trombone, Johnny Griffin on tenor and Tommy Flanagan on piano are additional highlights. Our last track is “Spooky” by Stanley Turrentine. An instrumental version of the old pop hit for Classics IV. It was a filler track on a late ’60’s Turrentine date for Blue Note. This kind of groove was right in Stan’s wheelhouse and he is all over it. This entry was posted on October 28, 2011 at 10:30 am and is filed under The Jazz Continues..., Video Vault with tags halloween jazz, jazz, lambert hendricks and ross, philly joe jones, Stanley Turrentine, vince guaraldi. You can follow any responses to this entry through the RSS 2.0 feed. You can leave a response, or trackback from your own site.